13 years ago, Kirsten Unger and Dave Harris saw an unfulfilled demand in the niche market for gluten-free bread and plugged that gap with their passion for baking quality food that everyone, even people with troublesome allergies, can experience and enjoy. Bakeworks has come a long way since a two-person team trotted down this fresh-baked gluten-free path. 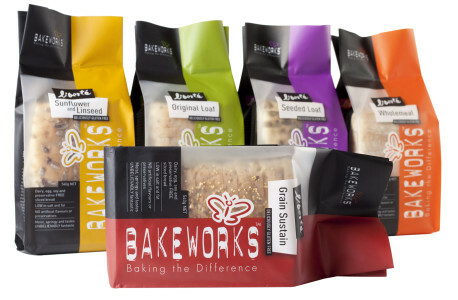 Now Bakeworks delivers products nation-wide at consumers’ doorsteps, sends fresh orders to more than 300 supermarket outlets, health stores, and stockists in New Zealand, and has a wholesome range of original bread and cookies and on their order form. The gluten-free baked goods market is a competitive one that has gained enormous popularity and attracted new businesses to the industry in recent years. Bakeworks stays ahead of the game by being different and original. They constantly come up with new products that are unavailable in the market, some of which include the Turkish Bread and Torpedo Rolls, which were so well received they were flying off the shelves. "Not everyone has these allergies; the gluten-free market is a small market with a small number of businesses all fighting for that share and sales. That's why we try and look for the missing products in the market. For instance, everyone out there had sliced loaves so we pushed out our pull-apart bread and baguettes instead, and the response has been fantastic, " says Ashlee, person-in-charge of orders and customer queries at Bakeworks. As orders streamed in, sending out invoices to packing rooms on time became a big obstacle to Bakeworks especially when they have to deliver freshly made bread with limited shelf live to customers as soon as possible. In a bid to quicken the process and meet deadlines, Kirsten had to introduce some changes to the company. "We wanted a system that would be fast enough to keep up with our activities and TradeGecko was the only one that stood out in terms of meeting our needs for processing invoices and inventory management. It's fast and accurate when it comes to invoicing and it's a system we can trust. It makes life a whole lot easier." With the backend and operations issues out of the way, Bakeworks is focused on overcoming challenges in the market and living up to the demands of their customers. Managing growth is their priority for this year and we wish them lots of success, while providing them with all our support. 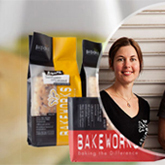 Your business too, can put an end to time-wasting backend processes and pick up speed like Bakeworks with TradeGecko.